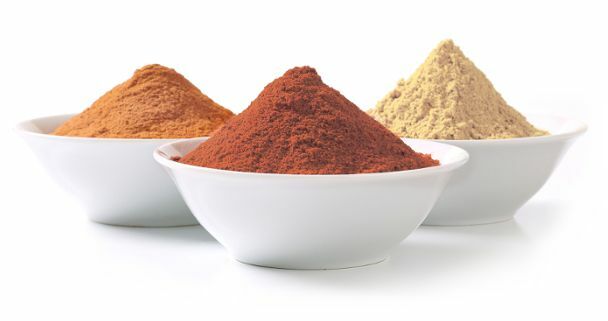 Spray drying is one of the most effective ways to dry foods and other products that are typically heat sensitive. It is a complex process that requires skill and attention to detail, which is why PacMoore is regarded as a leading spray dryer manufacturer and service provider. 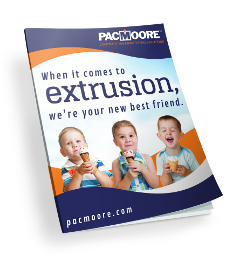 Below, learn more about spray drying and what PacMoore can do for you. From moisture levels to particle size, color, pH and more, just show us the product specifications you need. Our GEA designed full-scale spray dryer can process a wide variety of product types without ignoring efficiency and cost effectiveness. We will use the liquid blend you send us or that we can create for you, feeding it into the system using a rotary atomizer. A primary cyclone collects and discharges powder that is passed over a sifter and magnet before packaging. Our spray dryer has a nominal water evaporative capacity of up to 3,000 pounds per hour with a 400°F inlet temperature that can be raised up to 500°F. After completion, our CIP system and trained operators lead the charge in thoroughly cleaning the system for the next production in line. For product development projects, PacMoore also offers its GEA (FSD™) 4.0 pilot spray dryer. The system has a nominal water evaporative capacity of approximately 50 pounds per hour, making it easy to cost-effectively validate products before moving them into large runs on our full-scale system. From pilot to production, our spray drying experts have you covered. First comes atomization. During this stage, a rotary atomizer targets liquid feed stock to turn it into small liquid drops. This allows us to control such product qualities as particle size and viscosity. Next is drying. Air is heated using natural gas to dry the powder that is easily packaged and transported. We can control moisture during this phase by fine-tuning the temperature of the heated air. Last is recovery. In seconds, a bag filter or cyclone can recover the powder from the exhaust. From start to finish, PacMoore takes extensive quality control efforts to ensure your product perfectly meets your specifications. As a top contract spray drying company, the PacMoore team knows the spray drying process inside and out. We know what works best based on product and application. When it comes to contract spray drying or any of our other services, the PacMoore team is eager to lend our expertise. Contact us today to learn more about our contract spray drying services and how PacMoore can help you meet your goals. Download our Spray Drying Sell Sheet or the Buyer’s Guide to Spray Drying here. Do you have additional questions for our Spray Drying Department?